Land Pride's heavy-duty RC5014 and RCM5014 Rotary Cutters provide excellent cutting performance on gently sloping or slightly contoured rights-of-way and roadsides. The 14 ft. cutting width, 2 in. to 14 in. cutting height and ability to cut weeds and brush up to 3 in. in diameter make them well suited for highway maintenance applications. 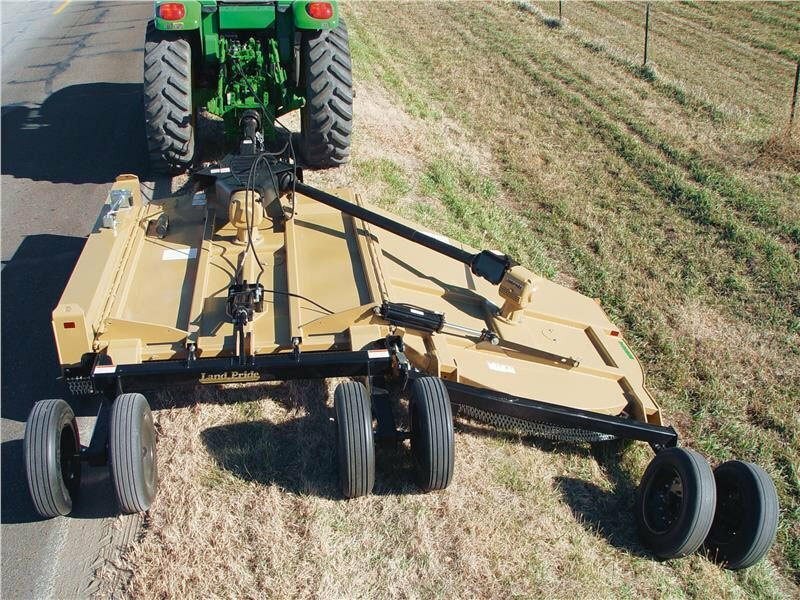 Both models offer pull-type, self-leveling clevis hitches as standard equipment for attachment to 70-250 HP tractors, and offer various, tire, rim, and axle selections as well as various safety guard selections, making them an excellent choice for state and municipal mowing applications. FACTORY ASSEMBLED: Saves customer set-up time and money. STAR PROFILE DRIVELINES: Star profile spreads load out to many points on the shaft. 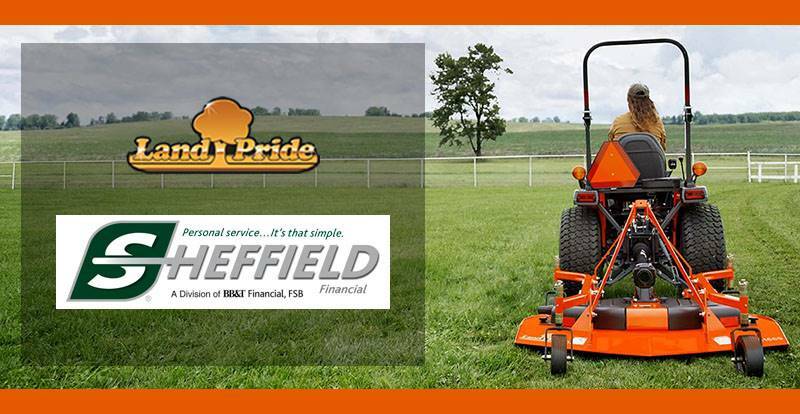 More apt to resist bending and twisting under shock loads and harsh mowing conditions. HIGH CUTTING CAPACITY: Can cut brushy areas with saplings up to 3 in. ENCLOSED FRONT TO REAR DUAL LEVELING RODS: Dual leveling rods enable the cutter to pull equally on the rear axle during travel over rough terrain. Many competitors only use one leveling rod. 5 OR 6 WHEEL OPTION: Dual wheels on the outer wing are ideal when mowing in areas where the wing needs to flex up hill. The outer wheel rides farther up the embankment and keeps the deck from gouging. The extra wheel on the outer wing deck provides better load distribution.